Sacramento, California. April 12, 2017. 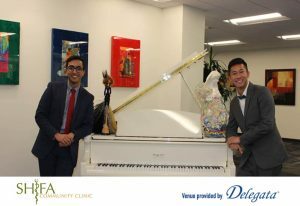 The celebration to honor two UC Davis undergraduates, Don Nguyen and Abhay Sandhu, took place at 6:00 p.m. on Friday, April 14, 2017, at the Diamond Conference Center (DCC) of Delegata Corporation – 2450 Venture Oaks Way, Ste. 400, in Sacramento, California. 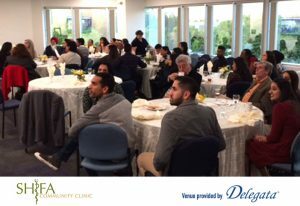 The event hosted about 50 guests, including fellow Shifa Clinic volunteers, doctors, community leaders, and faculty members from UC Davis. 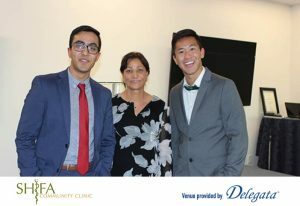 Nguyen will be matriculating into an MD-PhD program at Stanford University this fall, where he plans to specialize in Infectious Disease. Sandhu majored in Managerial Economics while working part-time in Securities Valuation at State Street Bank.